I’m back!!! For the last two weeks, I swapped the depressing British chill for the sunny climes of Vietnam. The holiday was awesome and I’ll be posting some pics soon. While I was away a couple of trend stories I wrote for Vogue India . Com went live! And here’s a repost of the first one. 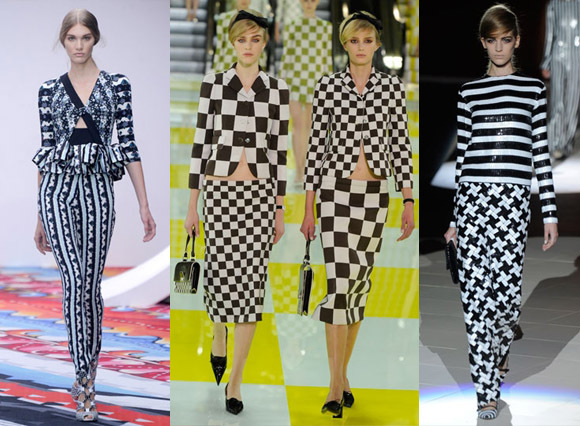 This summer, designers are championing all things monochrome. The stark black-and-white can be seen in variations all over global catwalks, making the season’s standard shades of yellow and coral seem almost cliché. 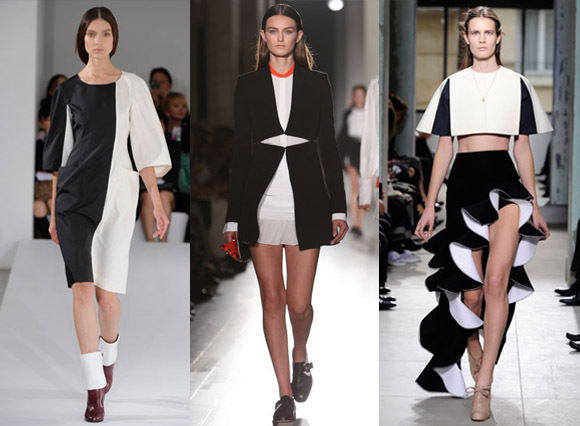 Here are four stylish ways you could be monochrome. Statement block panels were seen in classic cuts at Jil Sander and Victoria Beckham and in dramatic flounces at Nicolas Ghesquiere’s final collection for Balenciaga. If your budget is short of a few zeroes, Zara’s racks are already packed with ‘homages’. L-R Jil Sander, Victoria Beckham & Balenciaga. For a more versatile way to wear the trend, opt for a simple maxi, shift or shirtdress and let the print do all the work. Adding a colour accent via a simple clutch and vintage sunglasses, as seen at Diane Von Furstenberg, finishes the look. The key to this look is combining the right separates. Either pair contrasting patterns in one ensemble or use the same print in different sizes as seen at Marc Jacobs and Louis Vuitton. If you’re feeling particularly daring, get inspired by Peter Pilotto’s head-to-toe print riot. Whether you prefer them horizontal or vertical, the stripe of the season has to be bold and wide. Dolce & Gabanna’s take on the trend came from a nostalgic memory of Sicily, while Marc Jacobs had a 60’s Edie Sedgwick vibe with Bridget Riley-esque prints.